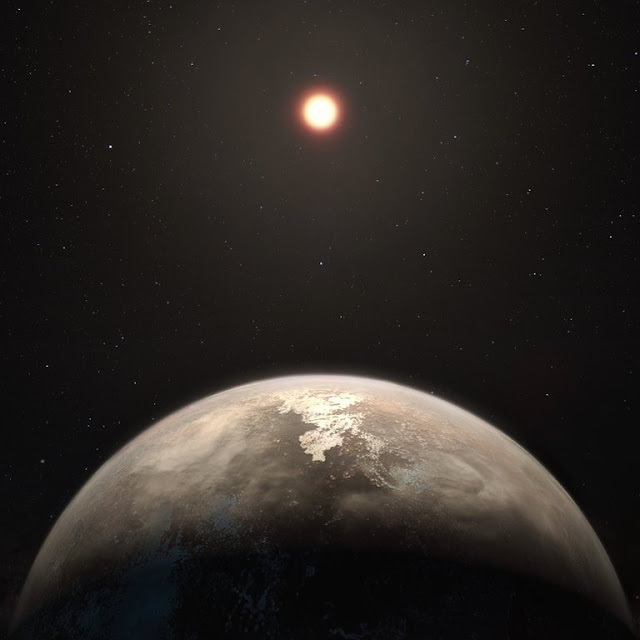 A potentially habitable world, termed Ross 128 b, has been discovered just 11 light years away. It is roughly Earth-sized and orbits its parent star once every 9.9 days. Astronomers calculate that its surface temperature could lie somewhere between –60° and 20°, making it temperate and possibly capable of supporting oceans, and life. The world was found by a team of European and South American astronomers led by Xavier Bonfils (Institut de Planétologie et d’Astrophysique de Grenoble, France) who were using the European Southern Observatory’s world-leading planet-hunting instrument, HARPS. They reported the discovery in Astronomy and Astrophysics.HARPS identifies planets by the way their gravity forces their parent stars to wobble. It shows that Ross 128 b is more massive than the Earth, with at least 1.35 times our planet’s bulk. So the planet would have a stronger pull of gravity at its surface. Ross 128 b is 20 times closer to its star than Earth is to the sun, hence its year lasts just 9.9 days. Yet, it is not burnt to a crisp because the star is a red dwarf, which is fainter than the Sun. Ross 128 b is not the closest Earth-like world to us. That distinction goes to Proxima Centauri b, which was discovered in 2016, and is just 4.24 light years away. 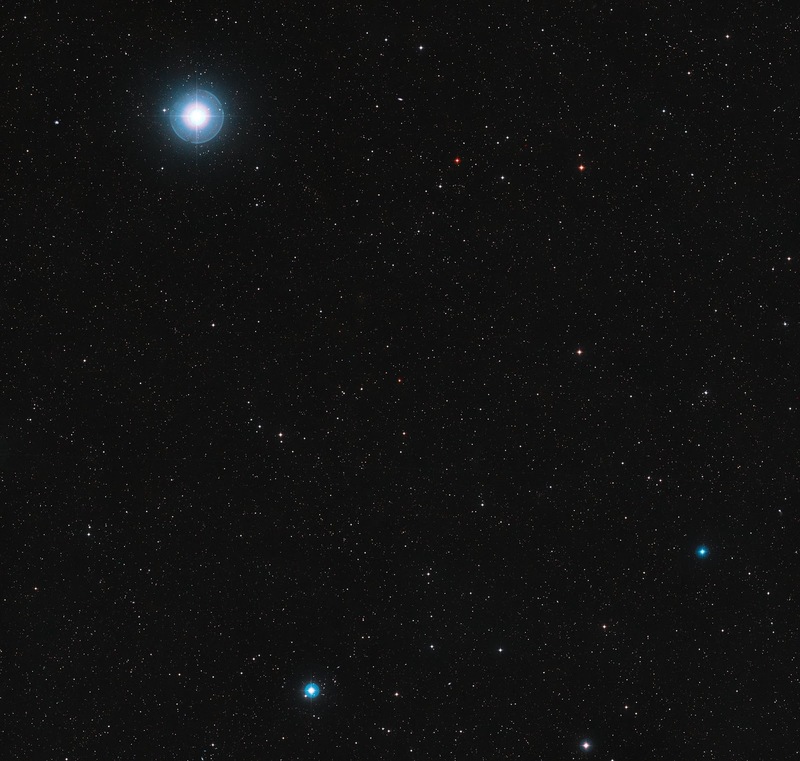 Although Ross 128 b is remarkably similar in size and orbit to Proxima Centauri b it may have a clear advantage when it comes to potential habitability.In common with many red dwarf stars, Proxima Centuari is an active star, wracked with gigantic stellar flares. These give out torrents of deadly ultraviolet and X-rays that could all but sterilise the nearby planet. By contrast, Ross 128 is a quiescent red dwarf that is not subject to such fierce outbursts. The chance to analyse these worlds more will come when the European Southern Observatory opens the European Extremely Large Telescope (E-ELT) in 2024. E-ELT will have a mirror almost 40 metres across, roughly four times larger than any current telescope mirror.Although ground-based, the large mirror and some clever technology to correct the image distortion introduced by the atmosphere, will provide images that are 16 times sharper than the Hubble Space Telescope. It will allow astronomers to collect the light from Ross 128 b and analyse it for biological gases such as oxygen. On Earth, oxygen has built up in our atmosphere because cyanobacteria evolved metabolisms based on photosynthesis. Such bacteria give out oxygen as a waste product and this throws our atmosphere out of ‘chemical equilibrium’. Finding oxygen in the atmosphere of Ross 128 b – or any other nearby planet – would be a strong indicator that perhaps the world was not just habitable but actually hosted extraterrestrial life. This need not be intelligent creatures or even animals, it could just be alien pond weed, but it would be life none-the-less. In the run up to the E-ELT’s inauguration astronomers across the world are racing each other to find Earth-sized worlds around the nearest stars. These will then become the targets for the E-ELT, and other similarly large telescopes that astronomers are designing. However, astronomers will have to find something truly unexpected to top Ross 128 b and Proxima Centauri b. Together they are the prime targets in the search for life beyond the Earth.